There's a special burger you can sink your teeth into at 8Cuts Burgers, and it ain't written on their menu. And if you love your burgers with less of the veg and just full on with the juicy beef and saucy add-ons, then this off-menu dish is definitely for you. Your choice of houseblend or grassfed patty with caramelized onions, cheddar cheese, and Sauce #3. You won't find this baby on the menu. The codename is Meathead. Get to it. The Meathead has actually been on the secret menu of the burger restaurant for quite awhile, and since you can customize your burgers at 8Cuts, you may have probably enjoyed something quite similar to the flavor and topping combination of it. The formula for this burger is delicious enough that the restaurant had to give it a name and a space on their secret menu -- and here's what you'll get when you order one. This off-menu dish is dedicated to all the meatloving foodies, everyone hungry for the burger but would rather skip some of its requisite greens. 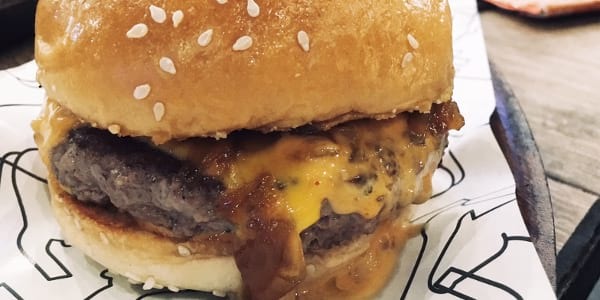 Here you have in between soft buns either a houseblend or grassfed patty (take your pick), topped with melted cheddar cheese and 8Cuts' sauce #3 that has embraced a generous smearing of caramelized onions. Okay, before you go on to rant that onion is still a vegetable, give this one a chance: it's cooked the best way that rids of the sharp flavor that some dislike, and now it's sweeter and luscious, and pairs well with the saltiness of the cheese and the unctuous beef patty. So the next time you're headed to 8Cuts for that burger fix, remember the name: Meathead. Meat head gone rogue. No signs of this one in our pages. Think caramelized onions, cheddar, and sauce #3 on an 8Cuts patty. If anyone asks, you didn't hear it from us. 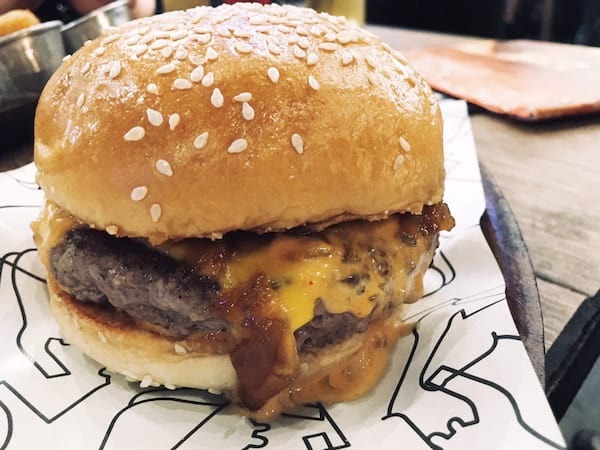 Where to Find it: 8Cuts Burgers, located at Greenbelt, Mega Fashion Hall, Rockwell, Serendra, Mall of Asia, Salcedo Village, Promenade Greenhills, Eastwood Mall, and Alabang Town Center. Follow 8Cuts on Facebook (/8cutsburgers) and Instagram (@8cutsburgers).